Are you constantly being summoned for remote desktop assistance? Or perhaps you are the one doing the asking? Either way, ability to see and control screens remotely can avoid confusion and also save time on both ends. Remote desktop or screen sharing tools can help you do precisely that. These are applications which allow users to stream their screen over the internet and get remote support from any other user around the world. These tools are very useful for users who want online repair support for their PC or who are working on a project in a team. 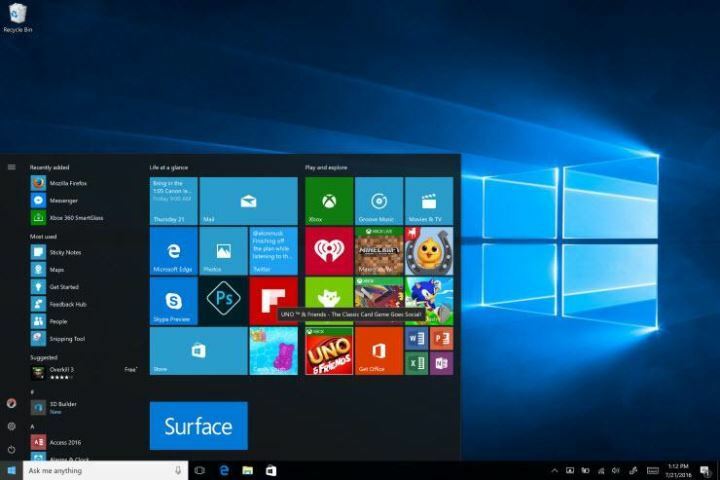 There are lots of such tools out there, but we have chosen 8 of the best that works well with Windows 10 – so let’s have a look at them. 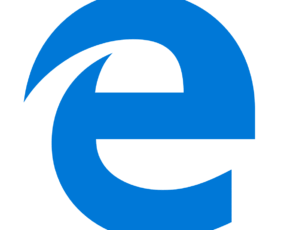 If you are a fan of the Windows Club, then you probably have heard of this app. Mikogo easily lets you make a group video chat or a web conference. With this tool, you can easily share your screen, text, or files. You can even pause or lock your session using the two buttons at the top. Mikogo also allows you to log out after your session by checking the Create Session log check box. The speed is good and so is the interface. 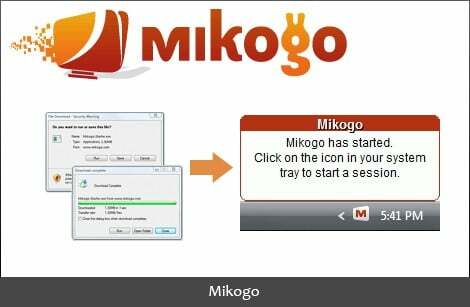 Mikogo is also very easy to use and comes with a user-friendly interface with some animations. The better part is that this tool is available for download at no cost. 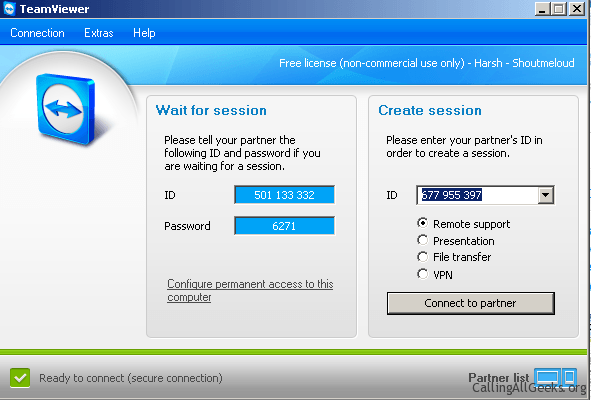 TeamViewer is a handy screen sharing tool that is free for personal use and comes with a bevy of features. In addition to screen sharing, you can also share video and audio with other participants. 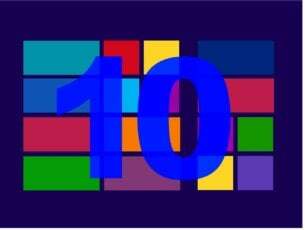 TeamViewer works well with Windows 10 and older versions as well as with several other platforms including Linux, Mac, iPhone, iPad, and Android. TeamViewer is available in more than 30 languages. 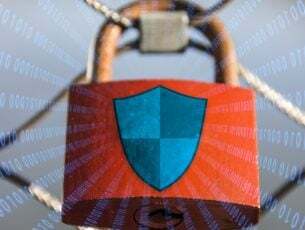 To get started, all you need to do is launch the TeamViewer and then supply your login credentials to the other user whom you want to connect with. TeamViewer is a very convenient tool to use, and if you want to avoid sharing your entire desktop, you can opt to show only a section of the screen or just specific programs. It also supports chat, file sharing, and whiteboard functionalities. To access it, you will need to download it first. After downloading the software, you will have your first session up and running in seconds. CrossLoop is both a screen sharing and a remote access tool depending on what you want to allow the other person accessing your computer to do. Unlike other programs which work great for virtual meeting, CrossLoop main focus is to help you out in resolving PC issues remotely. Therefore, it specializes in the one-on-one connection. Installation and registration is a piece of cake and even a novice can do it. The interface is also simple and useful so you won’t need any external assistance. 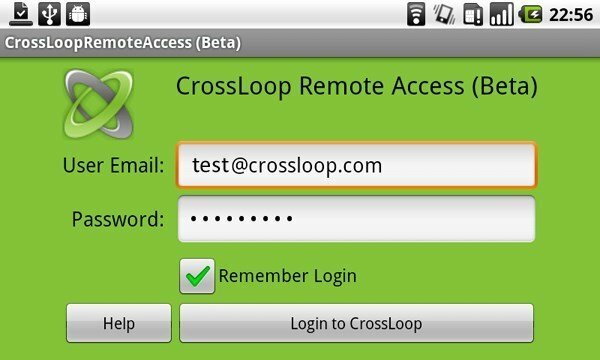 CrossLoop features a remote reboot, reconnect features, file sharing options and also comes with a secure 128-bit encryption connection. It is compatible with both Windows and Mac. The app you probably use most of the time to video chat with your family, friends and colleagues can also be used as a perfect screen sharing tool. In the past, a subscription was required in order to use the screen sharing service, but later Skype dropped the subscription and opened up the feature to free accounts. 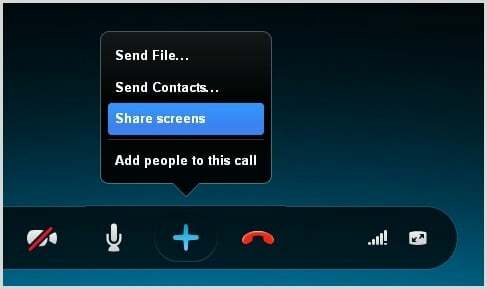 To share your screen, you will first need to make a video call or a voice call to one of your contacts, click the + button in the call window, and then select ‘Share Screen’. The user on the other end will be able to see a live video of what’s on your screen. If you are accustomed to using Skype for video chat and messaging, it makes sense to try out the app for screen sharing purposes as well. Join.Me is a useful tool that you can use to get your people together without actually getting them together in the physical sense. You just have to share your screen instantly for everyone to see. It’s an impromptu meeting space that brings your team together without hassle. This tool is a product of LogMeIn Inc, and was designed to work on Windows Vista, Windows XP, Windows 7, Windows 8, or Windows 10 and is compatible with 32 or 64-bit systems. It’s very easy to use and comes with basic screen sharing features, VoIP features, and capability to invite up to ten participants. The free version lets you share controls, use the mobile app, and transfer files. Show my PC’s objective is to offer “free and integrated collaboration tools for all user”. The tool lives up to its promise as it offers an intuitive user interface perfect for chatting, sharing, and group meeting. To use the tool, you are supposed to first download the software, once you launch it, you can create a password to send to all the other participants. This free and open source tool enables you to view and access another PC, screen, or desktop. ShowMyPc is very easy to use. The user who wants to share their screen hits “Show My PC Now” and the user on the other end hits “View Remote PC”. The software generates a password that the user at the remote end will need to provide in order to access your PC. The tool also has a Chat Whiteboard feature where you can chat with the other participants. MingleView is a free peer-to-peer remote desktop sharing and control based tool which allows for remote assistance and hosting of online meetings with colleagues, friends, and families. This tool is completely free, so you won’t be pestered with the annoying upgrade prompts every time you launch the software. This is the first free tool to offer unlimited access to users to host or participate in meetings. It also offers an HD screen quality enabling users to have a lively experience. MingleView works with all Windows versions and doesn’t require firewall configurations or port forwarding. If you love Google Hangouts for chats and video calls, then you can also use it when you want to share your screen with other users. Just like Skype, sharing your screen with Google Hangouts is very easy and it gives you that option once you start a Hangouts call. All you have to do is select a contact from the Hangouts list, click the video icon and then click ‘options’ at the top right of the video call window. 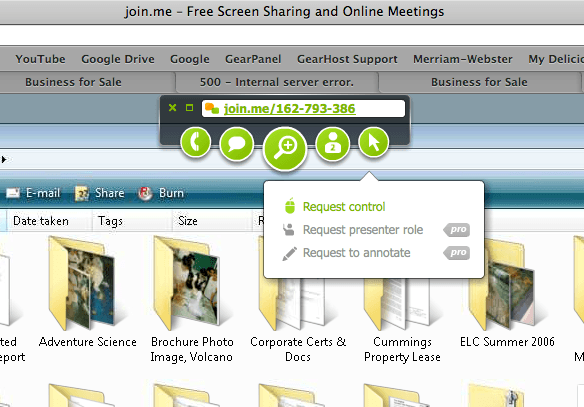 It will open various sharing options and you can choose to either share your entire desktop or your browser window. To stop screen share, you can click stop in the banner at the top of your screen or you can just click options and then select ‘Stop Screenshare’. 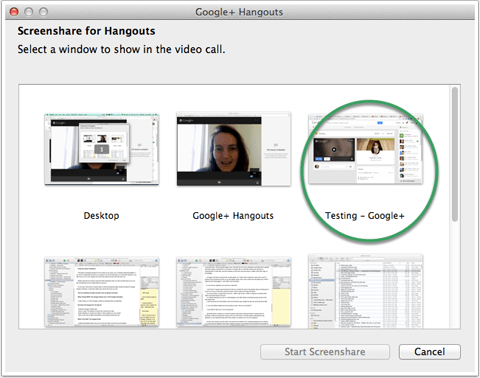 Google Hangouts is a convenient tool for screen sharing as you don’t need to download and install another program. The above list is by no means exhaustive. There are many screen sharing tools available on the market today, but I feel that the ones mentioned above are the best in terms of usability and performance. What are your favorites on the list?